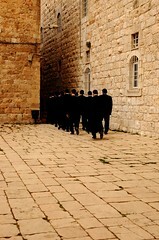 The Old City of Jerusalem is one of the most intense places on Earth! At the heart of the Jewish, Islamic, and Christian religions, this walled one kilometer area in the center of Jerusalem is beyond words and cannot be missed. The Old City is home to theWestern Wall (aka Wailing Wall and in Hebrew Kotel). This is the last remaining wall of what was the Jewish Temple, and is today the holiest site in the world for Jews. Above the Western Wall lies the Dome of the Rock important for Muslims as the site where the prophet Muhammad is said to have risen to heaven. And, just a few minutes walk away, lies the Church of the Sepulcher, where some believe Jesus was crucified and buried. 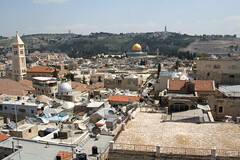 The Old City of Jerusalem is divided into four quarters; The Jewish Quarter, The Armenian Quarter, The Christian Quarter, and The Muslim Quarter. The walled city is entered by one of seven entry gates, although the busiest for tourists is the Jaffa Gate next to which is the Tower of David Museum, providing the history of Jerusalem within the Old City Walls. Each quarter has its own unique atmosphere and observations, sites and smells, and experiences. In the Jewish Quarter, for instance, the narrow alleyways are lined by the homes of Ultra-Orthodox (Haredi) Jewish families, and Yeshivas (schools for Torah study). Walking and observing the residents of the Jewish quarter rush about on their daily life, whether teenage students in the Yeshivas who are often here from around the world for extended periods of time, children as they walk with school between lessons, or the men, as they rush around between places of worship, and the Western Wall. The houses of the Old City, and the Jewish quarter in particular, are for good reason, hotly contested real estate, and command spectacular prices when they rarely trade hands. The Jewish Quarter’s narrow alleyways open up as you reach the Western Wall Plazaand the wall itself. At times of Jewish festival the wall can be crowded, and observing the tourists brushing alongside daily prayers here is an interesting site. Anybody can go up to the wall, although men and women have separate areas, and men should cover their heads (there are paper kuppels available), and women wear modest clothing. It is customary to place a small prayer on a piece of paper within a crack on the wall. Amazingly the vast Western Wall represents just a tiny percentage of this elevation of the Temple, and the Western Wall Tunnels accessed via the plaza, allow visitors to see even more of the wall underground. 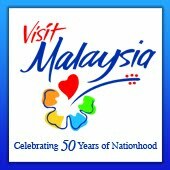 Also interestingly, within the Muslim Quarter is whats known as the Little Western Wall where the wall is once again exposed and visible. This is argued to be holier than the iconic section of wall because it is closer to the ‘Holy of Holies’ – the holiest part of the Temple. The Muslim Quarter is a huge contrast to the Jewish Quarter its streets are busier, more crowded, with vendors, especially within the famous Shuk selling all varieties of products. 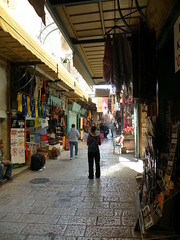 In contrast to the other quarters where shops are generally selling religious or tourist-appealing products, here the Shuk is literally an ancient shopping mall in the 21st century where one can practicing their bartering skills and buy almost anything imaginable. As in the Jewish Quarter, and the rest of the Old City, tourists wondering the streets of the Muslim Quarter find it hard to imagine how the locals go about their everyday business so normally in what is such an intense and looked upon place. Kids play in the street, and men sit out in cafes smoking nargila (hookah or shisha). The Dome of the Rock sits above the Western Wall Plaza and whilst non-Muslims are not allowed to enter the building itself, tourists are able to tour the compound and nearby Al-Aqsa Mosque. 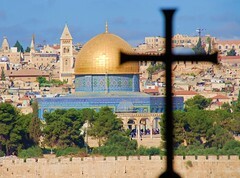 Moving into the Christian Quarter of the Old City of Jerusalem, there is yet another change. 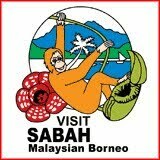 Home to about 40 holy sites to Christians, in the streets here you will see priests and pilgrims from around the world. This quarter was constructed around the Church of the Holy Sepulchre where Jesus is said to have been crucified and buried. Within this hot patch of real estate, even the Church is divided, with different parts controlled by different Christian sects, meaning that there are often disputes over maintenance and some parts are in poor condition. The smallest quarter of the Old City is theArmenian Quarter. This area is home to some 2,500 Armenians, an ancient community who have resided here for over 2,000 years. You can check out a view of the Old City of Jerusalem Live from the best position in Jerusalem, the Executive Lounge Balcony of the Inbal Jerusalem Hotel, here. Pengambilan Pelajar Baharu - Mac 2017 "Terkini!!!!! "